On the evening of August 3, 1907 a fire broke out at the Oregon Railroad and Navigation Company’s Winona yard, igniting a crate of dynamite stored at the depot. The blast and ensuing fire killed one, injured another twenty and nearly leveled the entire town. Every building was reported damaged or outright destroyed, and Winona was never the same. 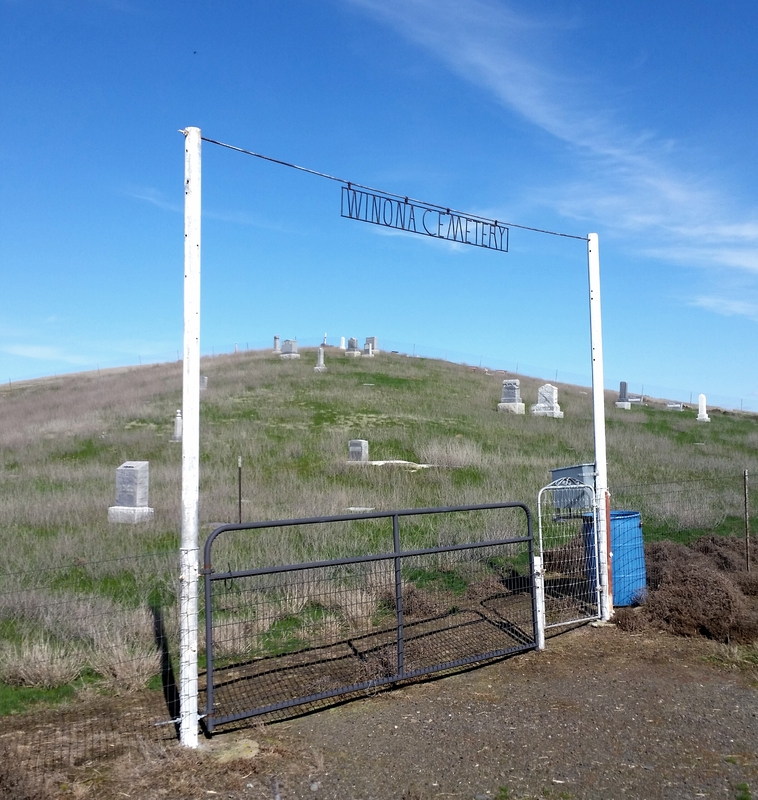 The cemetery was officially recorded with the county a few months later in October, although burials had been taking place there since at least 1896. 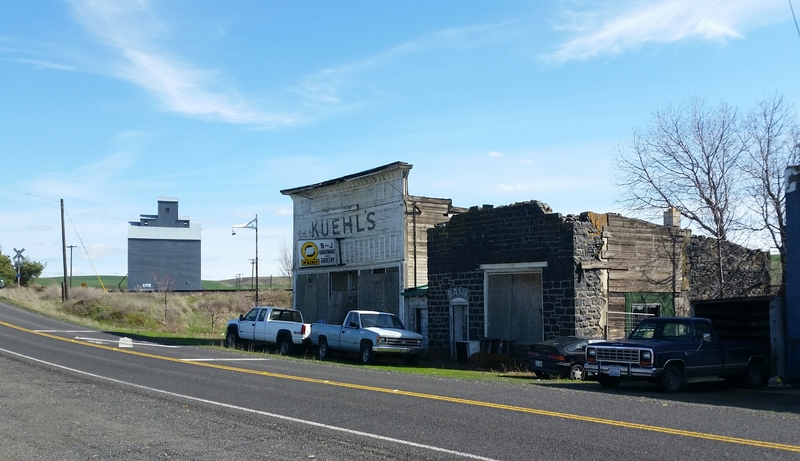 Like I said, there isn’t much in town except for a few dilapidated buildings that look like they may date back to the Winona Explosion. 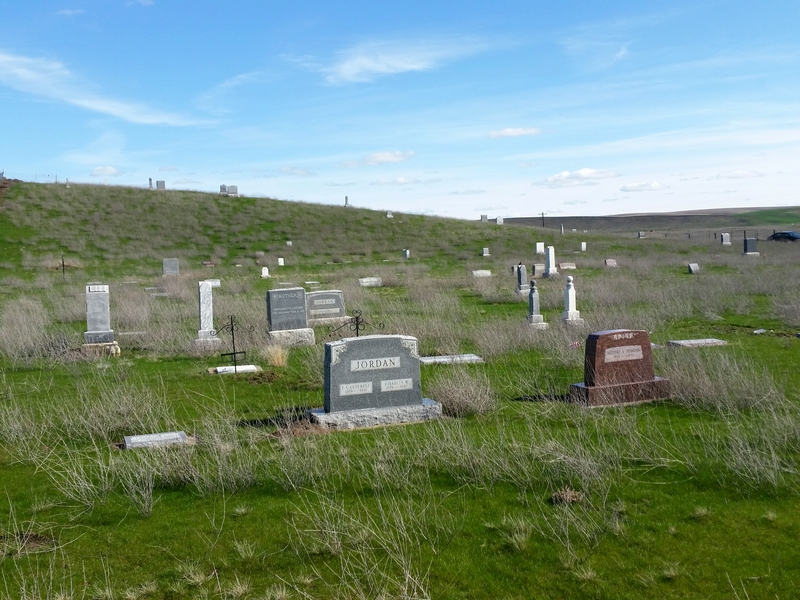 The cemetery is just a little further west on the highway, partially occupying a hill on the north side of the road. 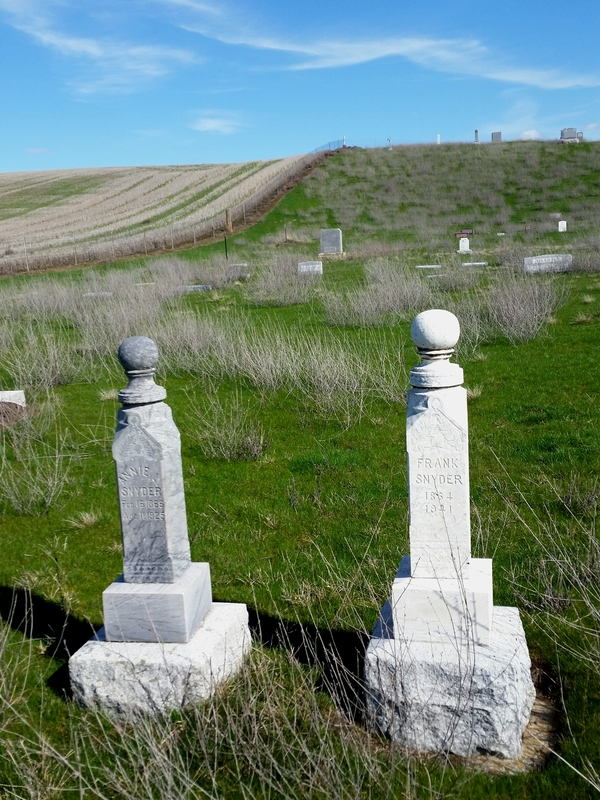 Many old graves dot the peacefully desolate landscape, and a walk to the top of the hill grants a unobstructed view of the countryside. 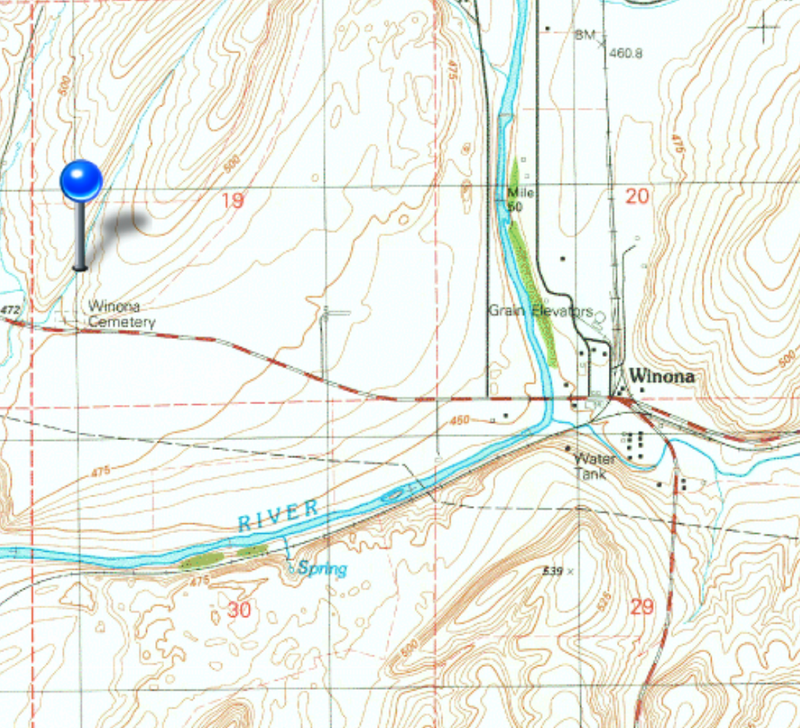 The unfortunate soul killed in the Great Winona Explosion was a railroad car inspector by the name of R.E. Buchanan. It was said his “body was burnt to a crisp” while he was trying to save railroad property from the ferocious blaze that fateful August night in 1907. Coincidence, somehow connected, the same person? I do not know, but it struck me as interesting. Doesn’t matter where you’re coming from, this tiny town is out of the way and any direction I try to give would likely be confusing. Endicott is the closest town, at about 4 miles away to the east. Beyond that is Colfax, which is the closest settlement of size.